Who wants to slay some zombies tonight?! 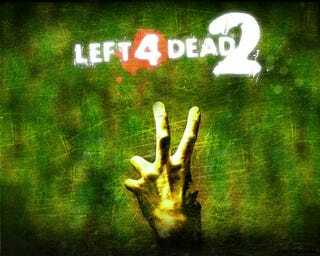 Join our monthly Left 4 Dead 2 gathering for the PC in the TAY Steam Chatroom tonight at 9:15 PM EST (have to start a tiny bit late tonight)! I’m DisturbedShadow on Steam if you haven’t added me. As always, you can find everyone on the TAY Gaming IDs spreadsheet and find out what we’re this month or organize your own Game Night on the May Game Night schedule!